Feature phoneis a term typically used as a retronym to describe a class of mobile phone handheld computers. Feature phones tendto use a proprietary, custom-designed software and user interface and lack the capabilities of smartphones. Feature phones typically provide voice calling and text messaging functionality, in addition to basic multimedia and Internet capabilities, and other services offered by the user's wireless service provider. 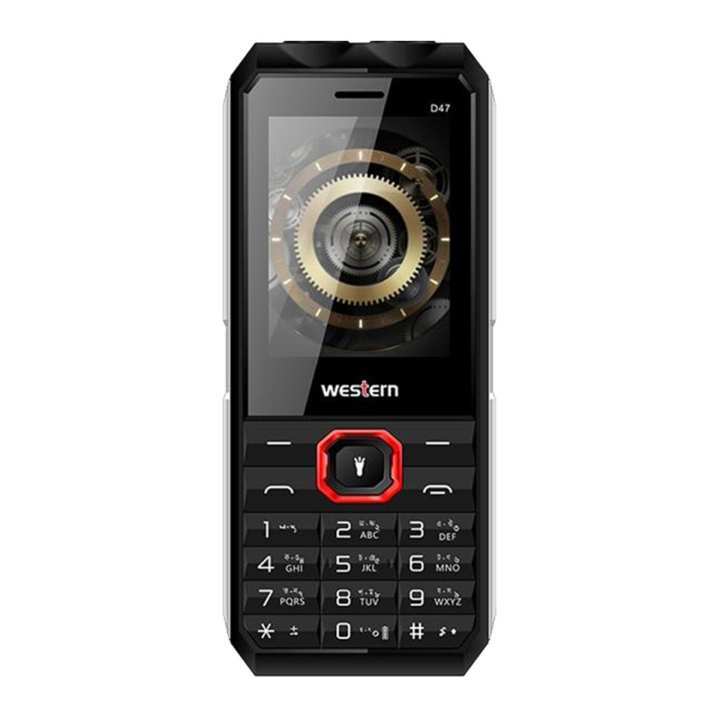 This D-47 Western feature phone combines great entertainment features. The 2.4" screen is great for taking and viewing pictures, playing videos and gaming with 2500mAh battery capacity. Enjoy high-quality voice calls, outstanding battery life, a built-in torchlight, FM Radio, MP3 and video player, has Bluetooth connectivity. Feature phones have a backlit LCD screen and may have a physical keyboard, giving them more buttons than a basic mobile phone; a microphone; micro USB port; microSD card slot; a rear-facing low-quality camera to record video and capture pictures. tangail a service center ase? ekhn nai... problem hole dhaka purana palton office e niye asun. Ei Phone ta ki D36 theke slim hobe? Yes. D47 is more slim than D36 phone.